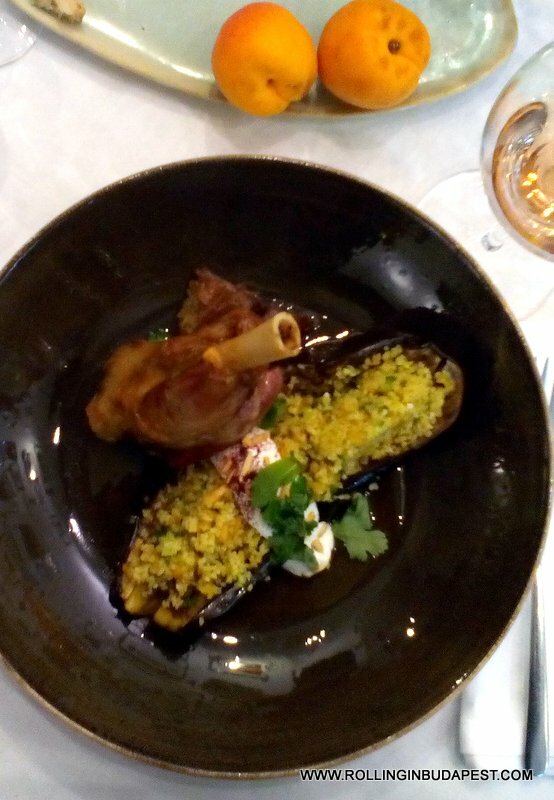 At the Klassz Restaurant located on Andrássy Street was held the press conference to the Gönci Barack (Apricot) Annual Hungarian Fiesta. The media representatives have been welcomed for lunch based on Gönci Barack (Apricot) flavors. Was told that the sweetest Zemplén Hungaricum once again bring together on the weekend of July, 6-7. 2018. Locals and foreigners are highly welcomed to Boldogkőváralja. Hungary’s northern fruit-growing region is favorable area on its hillsides, terraces and plains called Hegyalja along the River of Hernád. The hilly region is 150-300 meters above sea level. Also highlighted Gönci apricot’s uniqueness throughout the country and international renown originate from a combination of favorable climatic conditions, fruit cultivation traditions and strict adherence to production, harvesting, storage and transport technologies. Pálinka is gathering name for the Hungarian fruit spirit having 40 % in average of alcohol, often called in English language as brandy. Was also told that when the Prince of Wales payed a visit to the region of BESTILLO praised the Gönci Apricot Palinka, by saying its the characteristic of the region … Better with soda water than whiskey and better in the tea than with rum. There will be no shortage, dive into the delights of the programs and have a splendid time. Apart from Pálinka, jams, syrups, cocktails, sweets all basic of Barack (Hungarian Apricot), concert performances, arts and crafts, contests, family programs, visual art and plus a market place for producers showcasing the homemade cheese, ham, sausage, jam, honey, chocolate and other local delicacies and a lot more things to see, taste and to do. The BESTILLO Distillery will showcase its finest spirits at the Fiesta. (The BESTILLO Distillery is situated in an idyllic meadow of Eastern Hungary, close to a small village called Boldogkőváralja. The distillery has been producing an exceptional Hungarian Fruit Pálinka for nearly 12 years. Over two hundred years ago, pálinka was closely bound up in the lives of every family in Boldogkőváralja. The pioneering spirit, inspired by the local experience, runs through the history of Hungary and is just as prevalent today.) Whilst staying in the area worthwhile to visit the BESTILLO Distillery which is known beside other famous apricot fields on the Hungarian fruit Pálinka map. You can bathe in the pleasures of beauty in the landscape, but in the Pálinka you do not have to bathe, but the fragrant fruit-flavored will after last year’ success this festival, family friendly event will be back again simply at the Northern part of Hungary. The Hungarian Apricot Fiesta is a unique gastronomic event where visitors can taste different types of traditional and fusion Hungarian food by creative chefs and sip the best pálinka. Give yourselves a treat spending your week-end at Gönci Barack (Apricot) Pálinka Fiesta where it will be packed also with many apricot based foodies delights. 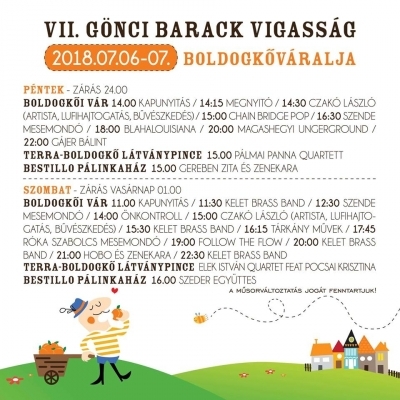 So on the bottom line mark your calendar to join the Hungarian Pálinka Fiesta where else than at the Gönci Barack (Apricot) fiesta. Have a taste of the unique fusion of Hungarian gastronomic delights by creative chefs and sip along with the best homeland fruity Palinkas. Unloose yourself with family, hubby, friends to make your time at a real festival holiday!